In general we try to regard your the privacy of you data. This website stores so-called cookies. Cookies are small text files containing information that the browser stores on the user's computer. The generated cookies help in user guidance and are not transmitted from the website to any third party. The website is stored on a server. The operator collects and stores information in so-called server log files, which the browser automatically transmits. You can always receive information about the processing of your data by e-mail. If something in the website does not meet the legal requirements, I ask for an e-mail. I will gladly adapt the pages. RSGallery2 is a Joomla! gallery component from the old days (since the Mambo days 2004) when Joomla! started. It had a wide reach in 2008 when it was recommended in several books. Actually it has reliable basic functions and runs without hassle in joomla! 3x. The forum response comes within appropiate time and the sources are in github. It will contain the demo pages and more centralised information. It still has to be completed which will hopefully achived in the next weeks. RSGallery2 is very feature rich; just to name a few: mass (batch) uploading of images. Users having their own gallery where they can upload and share their images, watermarking, resizing and for the advanced user an own templating system. RSGallery2 offers high quality support with its active community and it's own team. Just do a search on the forums over here and probably your question is already answered. If not, please post your problem in the appropriate category. If the RSGallery2 means something to you think about how you may support us. We need help in creating the documentation , maintaining the web site (better view) and more. Galleries list view: Ordering behaviour is changed. May not work as "needed"
Images list view: Ordering behaviour is changed. May not work as "needed"
Slideshow slideshow_pathfusion is not running. As permissions may have changed without intention (They are not checked that much and input of use is needed) this release is intended for single administrators or test sites. Welcome on the new home of the forum. Notice the URL above. It has changed in Sept. 2016 to http://www.forum.rsgallery2.org. You may not have noticed it when you were automatically forwarded. Please use now the new address. Addtitionally our new rsgallery2 home page is http://www.rsgallery2.org which will be the new landing page in a few days. The 'old' demo pages will be included in the joomla landing page. Is RSGallery2 useful to you? 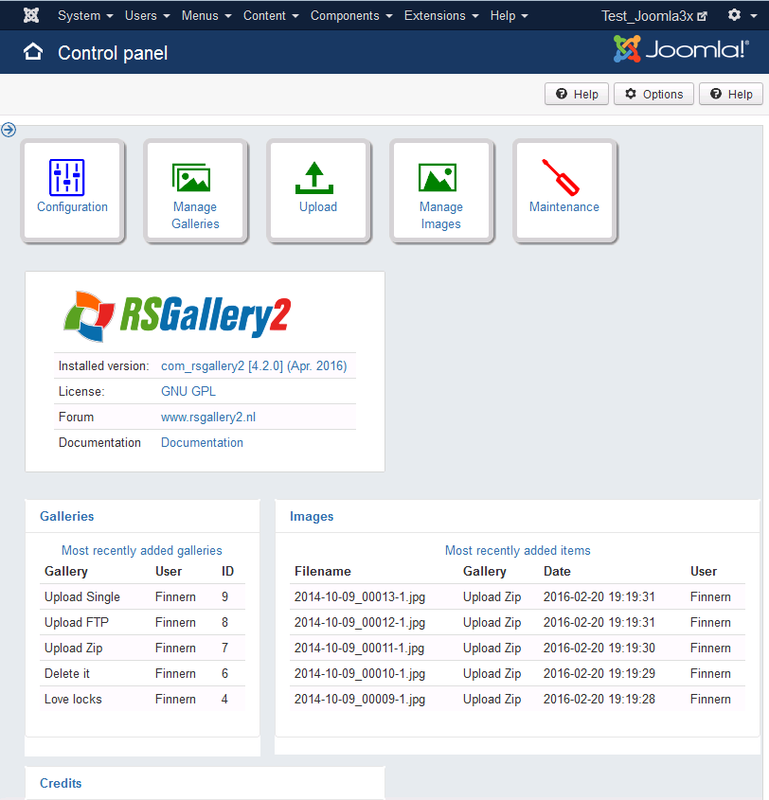 The latest release of RSGallery2 for Joomla! 2.5 is version 3.2.0. 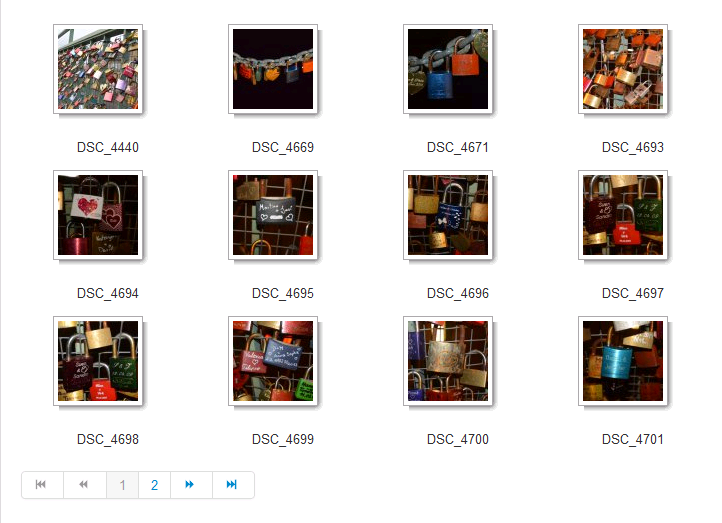 The latest release of RSGallery2 for Joomla! 1.5 is version 2.3.0.